Trays of Frato’s Italian Beef roasted in natural spices on Premium Chicago Turano Bread! Choice of (10) x 3″ or 4″ sandwiches! All Toppings on the side! 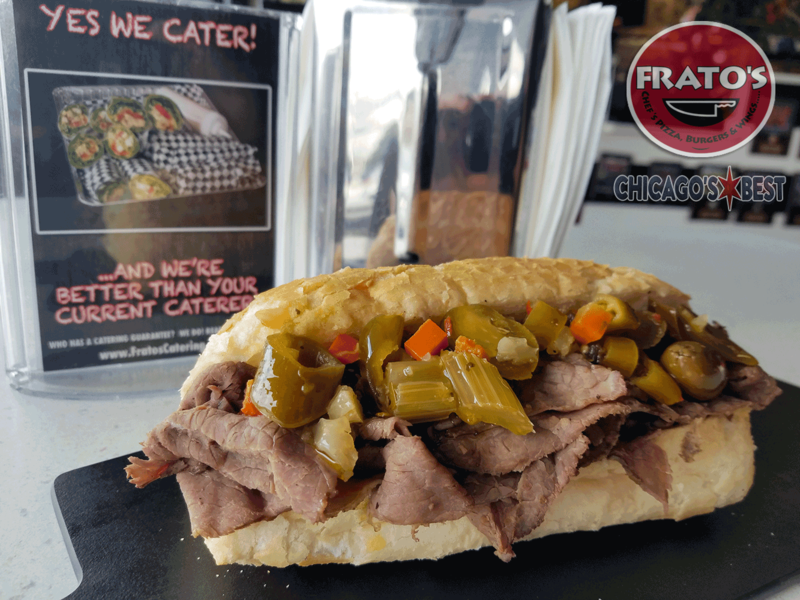 Tray includes Frato’s Hot Giardiniera, Grilled Sweet Peppers & Beef Au Jus! Coming Soon: Per person Beef packages!